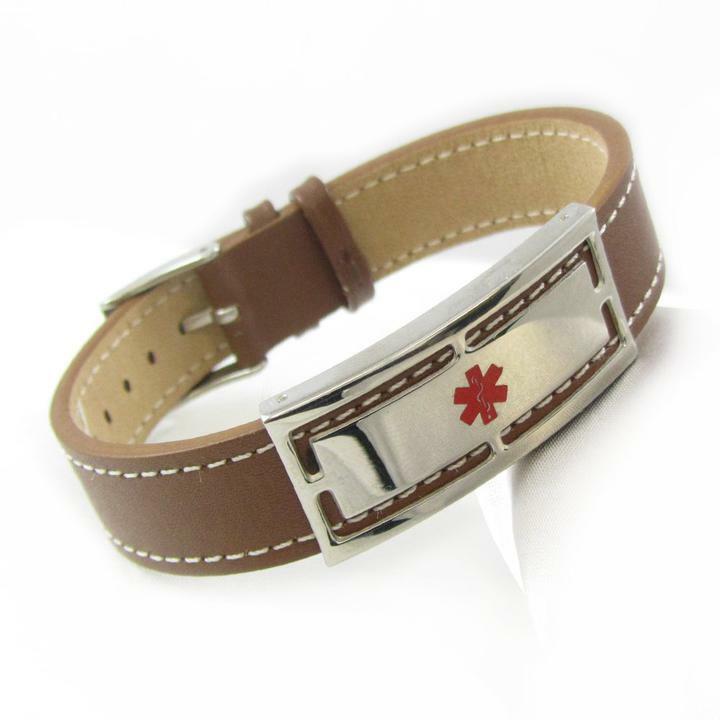 Our brown leather medical id alert bracelet is perfect for men and or women. The engraving is done in black laser at no extra charge. Fits wrist sizes 5.5" - 8"